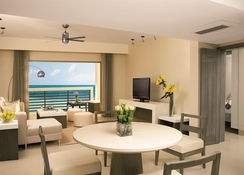 The Secrets Silversands Riviera Cancun is a true namesake for the reflective, powder-soft silver sands of Cancun. The luxury resort is a stunning beauty surrounded by the ultra-modern amenities and elegant comfort. A true enchantress, this tropical holiday paradise is an all-inclusive adults-only hotel offering 441 modern rooms with in-suite whirlpool, private terrace or balcony, complimentary mini-bar and much more. The hotel serves a vast range of gourmet dining options and premium beverages. With a choice of eight beautifully maintained pools, including an infinity pool, the pools at the Secrets Silversands Riviera are the perfect venues to take a dip or unwind by the poolside. 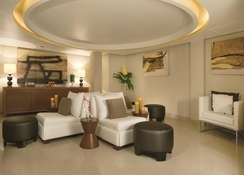 Guests can also pamper themselves at the world-class spa or lounge by the private white sandy beach. The hotel treats the guests with a host of amenities and services, which include golf course, fitness centre, scuba diving tour, open-air theatre, dive centre and bike tours. The Ultimate Luxury package allows guests unlimited access to gourmet dining venues, top-shelf spirits, 24-hour room and concierge services, pool and beach wait service, daytime activities and live nightly entertainment. The Ventura Park Cancun, previously known as Wet ‘n Wild Cancun, is only 21km from the hotel. The Secrets Silversands Riviera Cancun is located to the south of Cancun in the Riviera Cancun. The Ojo de Agua Beach is only 6km from the resort, making it convenient for the beach lovers. Apart from this, there are many shops, restaurants and bars near the resort. The Cancun International Airport is about 20km from the resort. A total of 441 rooms are on offer at Secrets Silversands Riviera Cancun, all of which overlook the pool or ocean and feature private terrace or balcony, air-conditioning, TV, audio player a well-stocked minibar, in-room safe, hairdryer, ironing board, iron, in-room Jacuzzi bath tub, bathrobe and slippers. The rooms also offer you free Wi-Fi, and you get to prepare your own coffee in the rooms. 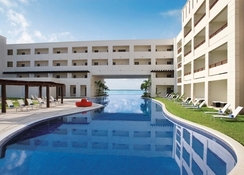 The Secrets Silversands Riviera Cancun houses eight reservation-free restaurants. World Café – the main on-site restaurant serves breakfast between 7:30am – 11am. You get lunch between 12 noon – 3pm while dinner is served between 6pm – 11pm. Seaside Grill and Oceana serves fresh seafood. Himitsu is an Asian fusion restaurant, while Portofino serves Italian cuisine. Guests can also savour cuisines from different parts of the world, such as Mediterranean (Ratatouille), Mexican (El Patio) and French (Bordeaux). Barefoot Grill serves awesome snacks and fusion drinks, while Coco Café offers coffee and pastries. The hotel also has a range of bars and lounges that include swim-up bar, beachside bar, lobby bar, pool bar, music lounge and theatre bar. 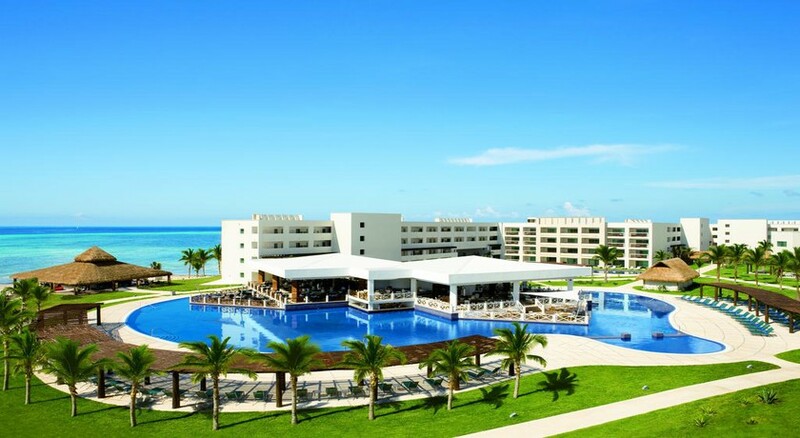 The Secrets Silversands Riviera Cancun features eight swimming pools, an outdoor whirlpool by the ocean and an infinity pool. The spa serves a wide range of beauty and wellness treatment. There is a gaming lounge with table tennis and pool tables. You can also bask in the sun on the private beach or try your hands at volleyball, tennis, mini-golf, scuba diving, snorkelling and water aerobics. The hotel runs cooking lessons for its guests. Evening entertainment includes open-air theatre, live shows and events.